I must’ve forgotten that I have already read this book before. When I added it to Goodreads to be on my currently reading, it said that I read it, and surprisingly, didn’t like it as much. This is why I reread books, not only because I might have forgotten all about it, but just because I didn’t like it before, doesn’t mean I will hate it again. I didn’t hate it before, there were a few things that annoyed me, and reading it again I can see why. But something must’ve changed, because I loved it as much as the first. It was great to finally see her back to being an assassin, and she is still human, she does have a heart. I think this series is showing that, just because you are a badass chic who kills people for a living, doesn’t mean you don’t have feelings…. okay, it does sound weird saying it like that, but I’m sure you get what I mean. 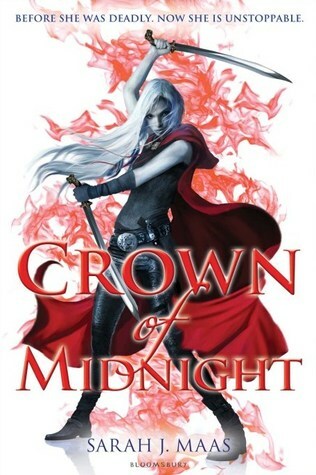 I cannot wait to continue with the series, and I checked, I haven’t read the rest of the series. Sometimes I question my past self, why didn’t I continue with the books.